These are the players (and manager) who let their team down “Big Time” this season and were a major factor in why their Clubs struggled to retain Premiership Health. Has been the Ill-Health-Keeper of the season. – Letting in goals left, right and centre. He may have won 75 caps, and started off as England’s number one, but conceding 39 goals in 19 premier league games, has meant he couldn’t even get into a West Spam side with the weakest defence in the entire Premier League. On top of that, the stress of being dropped has started to make his hair fallout so bang goes the “Head & Shoulders” contract as well. Without a strong immune system keeping out the attacks against you (infection and cancer), most Clubs will inevitably struggle. Who would have thought the player with the most appearances in Premier League History would himself be appearing in the worst team of 2017-18. An example that all the experience in the world, all the knowledge about a healthy lifestyle, cannot help you to play well if you choose to ignore it. Sooner or later Old Father Time catches up and those early morning trips to MacDonald’s and those late night visits to nightclubs are no longer conducive to high quality play and as a result performances suffer, until eventually you end up injured. Taxi for Barry – more like an ambulance! With a name like Bong I would think you’d make sure you didn’t Pong and this Brighton defender surely played a few stinkers this season. He certainly didn’t make friends with Lukaku when they met at Old Trafford late last year and received a kick in the Crown Jewels from the Man Utd striker. The ability to make friends and friendships are important for Premiership Health. The Entire Sjoke City defence. From being one of the toughest teams to score against over the last 5 years, ill discipline, poor training and fitness have seen the clay heads lose their belief in their defensive abilities and forget the values that made a cold winter’s night away at Stoke a daunting prospect. When you lose self-belief and allow values to slip, poor play is never far away. The Central Midfield in-decision maker is another Spammer more suited to blowing bubbles than positive constructive play. Nobody had more time on the ball and made so few passes, than the man with a red cast on his wrist for the last two seasons, presumably, so he can decide which is left and right. Having possession of the ball and failing to decide what to do with it, is about as much use as the current dietary guidelines are to solving the diabetes and obesity epidemic. The ability to make decisions and then take action is vital to the play of any team and Premiership Health. I remember reading an article just before Xmas, which had Man Utd down as the laziest team in the Premier League (in terms of distance covered on the pitch) and Pogba as the player who moved the least. Is it any wonder the atmosphere at Old Trafford has become dull and boring this season, lacking in the passionate emotion we all like to experience. When the game lacks energy and movement that’s often a sign that something isn’t working and a change needs to be made to bring it back to life. This former Barcelona forward didn’t quite fit in with the Stokalona style of play and was banished from first-team training in March after a blazing row with the manager over his attitude during training and told never to return. When communications break down between players and management, poor play and ill-health often follows. I still can’t pronounce his name, shows how many times he’s made a valuable contribution to the team this season. He may be very good at tweeting where he’s visited in the UK, but when it comes to communicating with his team mates with a worthwhile pass he’s absolutely Chateauneuf du Pape. Even telling Pardew the Clown, to go forth and multiply, failed to have the desired effect. Unless you have players who can communicate with each other, play very quickly falls apart. At number 10 is your missed goals scorer and for 2017-18 that position is allotted to the walking sick-note, the pony-tail with no sting in his tail, who goes by the name of Mandy Carroll. This season Mandy has excelled herself by getting sent off for 2 yellow cards in just 99 seconds, having an argument with the manager following a splinter injury sustained from sitting on the bench for too long, and scoring an impressive 3 Premier league goals, all that for just £90 grand a week, where else can you get value like that – only at London stadium – Hernandez! 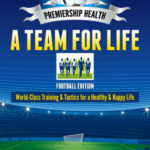 The failure to score some goals and bang even a few tap-ins into the back of the net is detrimental to the success of any team and Premiership Health. Last and in every way least, the drop-out performer and team captain of this rudderless ship, is our old pal Bongo Berahino. This player was so bad I fear we may have witnessed his last kick in the Premier League, but, I’m sure that won’t stop him munching his way through a mountain of oatcakes during preseason in an effort to endear himself to the Stoke City fans. It’s not as if he hasn’t got previous either, even when he was half decent at the Albion, a promising goal scoring purposeful career was curtailed by the meaningless pursuit of drugs and money. Now depressed and unfit, late for training and overpaid, is it any wonder he hasn’t scored a goal for over 2 years. Hippy crack, alcohol, drugs and money can never be a replacement for a Purposeful life. No adjective can adequately describe the pathetic managerial performance of Alain Pardiola this season, so I’ll go with the 6 ‘P’s of Failure. P**s poor Pardew Produces Pathetic Performances. His inability to command the respect of the players, with his “me-not-we” mentality and humiliation of younger squad members, was probably the main reason West Brom were relegated this season. 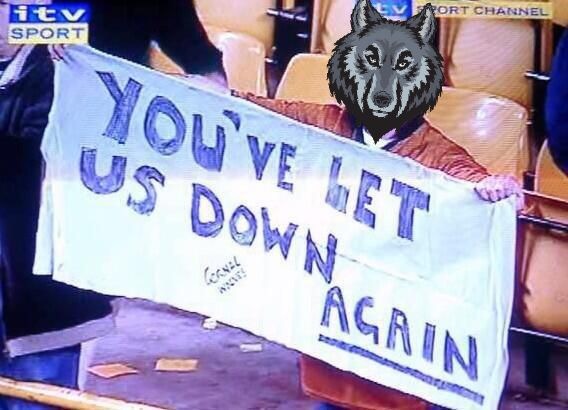 And he most certainly was – “The Big Bad Wolf” – That blew our house down! If you have a manager in charge, who thinks more about himself (ego) than other members of the Club, then you need to seriously consider a change at the top. Because, to achieve Premiership Health and avoid fighting relegation, you need all your players and teams for life, playing together towards a common purpose. If you enjoyed this Blog Please follow and retweet – Thanks! ← End of Season Health Report!